Start Center has a mostly blue-and-white tabbed interface that highlights five sections: Status & Recommendations, Optimize System, Clean Up Computer, Fix Problems, and Customize Windows. Each tab has several useful, clearly-defined functions that are easy for the layperson to understand. The Status & Recommendations tab, which is the app’s default screen, displays the number of problems found under the Fix Problems sub-heading and the Start 1-Click Maintenance button under the Maintain System sub-head. At the bottom of the window is an Optimization Status band that fills as you complete the steps needed to whip your PC into shape. I found it a nice way to stay on top of the maintenance process. Clicking Start 1-Click Maintenance launches the system cleaner, which scanned my test bed and displayed numerous of registry problems, broken shortcuts, and other PC problems. Clicking the “Show Details” beneath each problem count took me to a new screen that described problems in everyday language. Clicking the Start 1-Click Maintenance button cleaned up the mess, eliminating all the previously listed problems. Upon initial installation, the program will perform a scan of a user’s system to look for any ongoing problems. The scan is fairly comprehensive and looks for disk defragmentation problems, invalid shortcuts, files to be cleaned, and for any performance recommendations. After the initial set of scans, users will then be presented with the main dashboard screen featuring several main status updates. These status sections include “Maintain system”, “Increase performance”, Fix problems”, and “System protections”. Each section covers a wide range of system functions and the program does a very good job of analyzing a computer system for problems. Users can then quickly click on repair options or even choose to ignore the result from each sectional scan. Have been using a paid version for last 2 years without any problems. Have exhausted the 3 computers limit and need to install it in the 4th computer. Will appreciate if I can get a Giveaway version. TuneUp Utilities 2013 o yes please count me in. Thanks! Best utilities software.Good luck to all. Nice giveaway, please count my in. Nice giveaway, please include me.. I am aching to use this very reliable program. Hope to win one license. thanks for this chance. please count me in. Thanks for the opportunity to win this great product! Great giveaway! nice software! count me in please! Tuneup Utilities has always made my desktop computer like brand new making it reliably fast everytime. This program is for me and I hope to win a license to fully appreciate this new version. Thanks a lot and Please count me in. Great Software. Thank you for the giveaway. Please count me in. Thanks, Great tool, solved a lot of problems. The best of this kind. Thank you for this giveaway ! Thanks for easy tuneup soft.Please count me in. This is really awesome software to tune your PC. Kindly consider me please for contest! Count me for this campaign and thanks! I like this great software. Thanks for the giveaway! Thanks AppFound for the great giveaway! Nice giveaway… Count me in. A very decent PC-tool suite. Please, count me in your contest. I love it. I hope will lucky. Thanks for giveaway. excellent program to optimize your system. Nice giveaway! count me in please! Count me in! nice giveaway! count me in! great giveaway! Great giveaway, perfect software…thanks !!! nice program! count me in! Rated high at top ten. Count me in! Thanks for giveaway. Please, count me in. WOW another amazing giveaway ,my favourite maintenance software.Count me in ! Thanks for counting me in. I have a 2012 license and would like to upgrade. THANKS FOR YOUR GIVEAWAY SOFTWARE. excellent software, please count me in. Thanks for this great giveaway. Count me in , please ! Thanks ! Thank You so much for this Giveaway Dude. Please kindly to count me in..
please count me in! this is good stuff. Tune up utilities is the best solve problem computer. I tested the trial version. An registered version would be excellent! This is an excellent software. Love to have the updated one in my PC. Please count me in, please. Thanks. Thanks a lot for this. Have been longing. Thanks again. 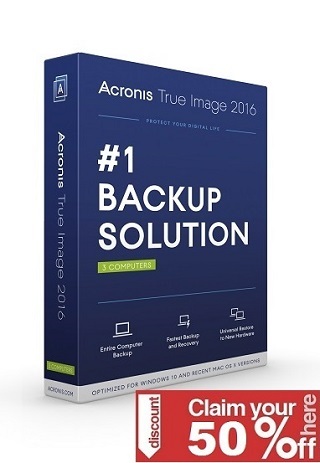 Ty for the chance to win this terrific software, good luck to all. nice giveaway!! TY for the opportunity to win a license! TuneUp Utilities 2013 to bardzo dobry zestaw narzędzi do konserwacji systemu Windows. To kompletne rozwiązanie wszystkich problemów z wydajnością komputera. Dzięki temu programowi system Windows sprawuje się jak nowy. Bardzo chciałbym wygrać ten wspaniały pakiet ,jest to najlepszy program do optymalizacji jaki do tej pory testowałem. Please count me in. Thanks for this awesome giveaway!!! Thank you for a really great giveaway. Sign me up for this one!! Great! Count me in please!!! Thanks for this fantastic contest. Amazing giveaway, count me in, please! Please count me in!!! Thanks!!! Many thanks for this Marvelous Giveaway ! Excellent system management tool ! Like to use it and love to win it ! Please me in the draw ! Thanks giveaway, Count me in please , Tuneup utilities is one of my favorite computer optimizations software, currently i running with Tuneup utilities 2013, Which can upgrade to 2013. Hope all the best. Thanks. thanks, pls count me in. Thanks for the giveaway. Count me in, please. PLEASE i want to have this kind of software! Superb giveaway. Count me in. Great Stuff have used in the past. Would like latest version. great software.lucky to win one.thanks for the giveaway. Gracias por el sorteo. Un excelente software de mantenimiento y muy recomendable. Suerte a todos. è un programma di pulizia molto potente ma nello stesso tempo non modifica niente,ho usato molte utility di pulizia ma molte soluzioni modificava il sistema operativo.Tuneup Utility lavora bene ,usa molti programmi di pulizia,usa il tasto in un click pulisce tutto il sistema in poco tempo.Molto inportante elimina privacy utile per chi naviga,pulisce i Crooki traccianti.Voto 10. Very important software. Will be happy if win. 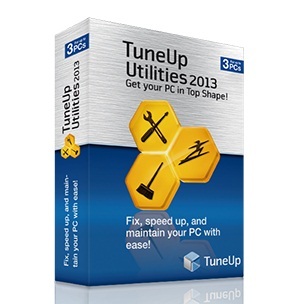 TuneUp Utilities 2013 looks to be really comprehensive and is a must have for all computer users..
Prefect software for increase machine performance. Thanks for the giveaway. Pls, count me in !!!!!!!!!!!! Great app thanks for the giveaway! Looks great!! would love to win this latest version.!! I have 2011 Tuneup and would love to upgrade!! One of the best windows tuning programs. it’s a very good product. I would be very lucky to get it. Great giveaway. Count me in pls. Using TuneUp Utilities 2012, looking forward for this one. great program! count me in please! Great! count me in please! Wonderful offer! count me in! very useful program! count me in! Thanks for the draw. An excellent software maintenance and highly recommended. Good luck to all. Count me in ! I l realy like this software ! Great Offer Have only the 2004 tuneup Utilities, I sure hope you have one for me. Great Job to have such quality software to give away. Great Job to all of you. Thanks for the giveaway! count me in please! Thanks AppFound for this nice giveaway! Thanks ! Fantasic giveaway . Excellent software . Thanks and hope to win. Nice software! Count me in! Thank you very much for such giveaway! The best of his kind! Best utilities! count me in! Fantastic giveaway! count me in! count me in! very good program! used version 2011 on win xp before, now I need the latest version for my new brand pc with win 7. Awesome! Thanks and please count me in! Great giveaway! count me in please!!! Count me in please! thanks for the nice giveaway! great offer, count me in, please. Count me in. TuneUp Utilities is a great software! Thanks for the nice giveaway, count me in, CIAO! Nice giveaway! count me in. count me in! I like this program! good software- count me in! Nice tools! count me in! This is great software that makes your machine run better. Thanks for useful soft.Please coiunt me in. Count me in please! great software! Tuneup utilities is the best! count me in! TU Utilities is the max!!!!! Great offer! nice program! count me in! Count me in please! hope i win. Great program! count me in please. nice giveaway. count me in please. Thanks. count me in please! Great! count me in! Thanks! Count me in for this giveaway! Thanks! Thanks for this giveaway! count me in! Count Me In. I Would Like To Win A Copy Of TuneUp Utilities 2013. Thanks For The Giveaway. Thanks! count me in! hope i am lucky! Nice software. fantastic offer! count me in. thanks! awesome and awesome. thanks so much! Amazing offer! count me in please! thanks! Best utilities i know! count me in! The program is good, all the advice. Thank you for your share, I hope that you are lucky. This is great software. I hope to win. Merci pour le cadeau. super logiciel qui me convient beaucoup. hi Count me in.please &thansk. The BEST WIN 7 (AND 8) YOU CAN TO USE FOR BOOSTER YOUR MACHINE ! GREAT !!!!! Super giveaway. Please count my name also.